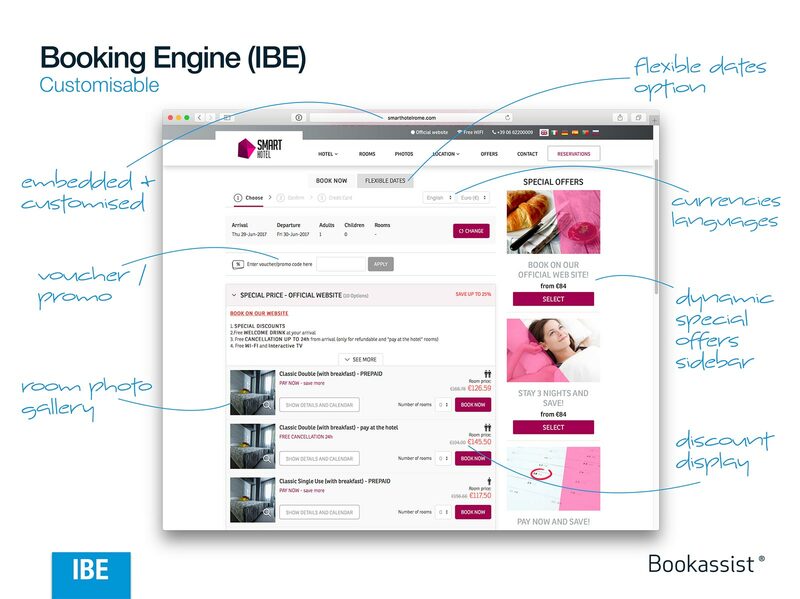 Booking Engine 2017 was launched in January 2017 and was rolled out to all hotels over the coming months. It was further updated with Price Calendar in March 2017 and again with security and customisation features in August 2017. These releases of the Booking Engine focused on user usability and experience and were designed after extensive customer analysis and discussions with our hotel clients. The focus of Bookassist’s Booking Engine is, first and foremost, conversion. It’s critical to ensure that the online customer can find the relevant information quickly, that the information is clear and unambiguous, and that the path to booking does not introduce barriers. Bookassist’s new Flexible Dates approach is unique in the industry in the speed and ease of operation, and in the sheer extent of the data in can present. Often, customers are happy to choose your hotel based on the value of the package and are less concerned about the dates of travel . The standard booking engine approach of searching by date is not for them. That’s why you can switch between standard and flexible dates in the Bookassist Booing Engine. Flexible dates has proven to be enormously popular with online customers since its launch and is improving conversion for Bookassist client hotels. Bookassist has completely upgraded its entire security infrastructure to bring you the most secure payment processes. Bookassist is fully PCI-DSS compliant and invests heavily in security for customers and for client hotels. 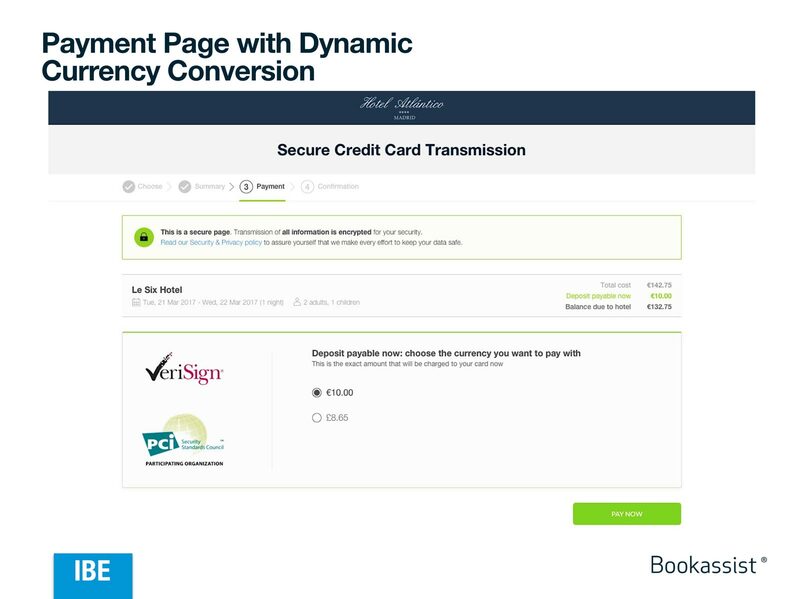 Improvements in payment approaches introduced recently to Booking Engine 2017 include the option for dynamic currency conversion in the checkout page on desktop and on mobile (if your hotel is using its own merchant account with Bookassist). Your hotel can also customise the payment page with your hotel logo and colouring to improve the feeling of security for your online customer. Dynamic currency conversion has proven to be immensely popular with online guests, who opt to pay in the own currency almost 90% of the time. The next phase of Booking Engine development will be a complete relaunch of our mobile booking technology, scheduled for the end of 2017. Stay tuned for more information on that! If your hotel needs further information on Booking Engine 2017 features or on Price Calendar, please contact us!